The disciple Matthew's life was radically changed by an encounter with Jesus. In Matthew 9 and Luke 5, we read about a party that Matthew throws for all of his friends to introduce them to Jesus. It is one of the most striking passages of Scripture about how an encounter with Jesus changes everything! Talk about a radical, defining moment! Jesus, quickly becoming one of the “leading” religious figures of the day, goes to a dinner with “such scum.” Those aren’t my words…check out Matthew 9:11! (Don’t you love the raw stories of the Bible!!) Matthew had such a transforming encounter with Jesus that he wanted those closest to him to experience Him as well. This is a powerful reference to an Old Testament passage: I want you to show love, not offer sacrifices (Hosea 6:6, NLT). This is the heart of what God asks of us: that we would be so radical in our love that our faith and grace would be most visible and vibrant not just during a service on Sunday (our modern-day sacrifice) but in the hours and corners of the other six days of the week. And, so the question (as with all of Scripture) comes: how does this truth apply to me? How does my story (and our story as a community of faith) intersect with God’s story? Well, could you imagine an evening in December where we all bring the co-workers and friends in our lives to experience Jesus? To walk through the doors at the Benton Convention Center and feel the love of Christ in every interaction? 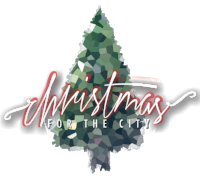 One of our leaders prayed the most powerful prayer early in our brainstorming process: “God, our greatest need for Christmas for the City is people who love people.” Not hot chocolate or food. Not musicians or artists. Not photographers or dishwashers. Not greeters or hosts. Just people who love God and people. Would you make that your prayer: that love would so saturate every element of CFTC and be unmistakeable down to the smallest detail that our city even now begins to experience the power of Christ’s love…even in the preparation. And, maybe, our city might be known as The City that Love Built....a John 17 and Ephesians 4 kind of city!